I keep banging on about the lack of pro squash events in London, so it's great to start the new year off with something positive to report. If you get yourself down to Dolphin Square in London (Pimlico tube) this Friday 16th January you can see Peter Nicol and a host of other top pros in action. 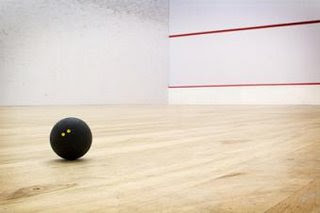 This Friday 16th January the newly refurbished Dolphin Fitness Squash Club will be giving London's squash players the chance to see the World stars in action and then get on court with them. 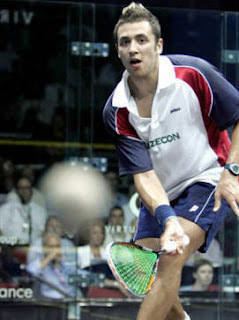 The evenings squash that is being put on in association with PeterNicolSquash.com will feature an exhibition match involving World 9 Peter Barker & World no.13 Azlan Iskander. Club members and guests will then have the opportunity to step on court with former World no.1 Peter Nicol and the host of world ranked players that train under the watchful eye of Peter Genever at the club. Entry is free to members and non-members, but booking is essential.